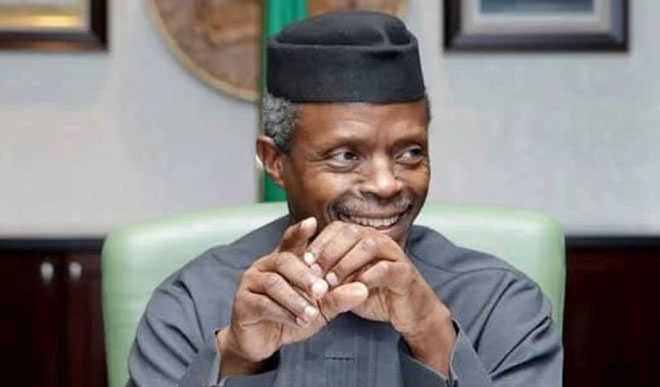 Yesteday, Acting President Yemi Osinbajo met with service chiefs at the Aso Rock Presidential Villa in Abuja. The closed-door meeting took place at the Vice President's wing of the Presidential Villa. The attendees include the Chief of Defence Staff, General Gabriel Abayomi Olonishakin, the Chief of Army Staff General Tukur Burata and the Chief of Air Staff, Air Marshal Sadique Abubakar. Also present at the meeting are the Chief of Staff to the President, Abba Kyari; the National Security Adviser, Banagana Monguno; the Minister of Defence, Mansur Dan-Ali and the Governor of Borno State, Kashim Shettima, among others.